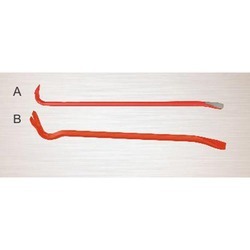 A wide array of Swan Neck Wrecking Bar is offered by us to our valued clients. These wrecking bars are designed and fabricated using quality-approved metals in accordance with the international industry standards and norms. Furthermore, these products are widely suitable for light prying or lifting of both tacks and nails. We are manufacturing and exporting an extensive range of Round Wrecking Bar. 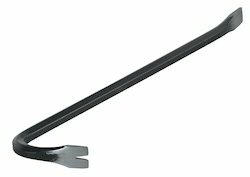 Made from carbon steel, heat treated & powder coated available with on without rubber grip.